Tomorrow, Thursday, November 10, is Neuroendocrine Cancer Awareness Day. Yes, I am a zebra. 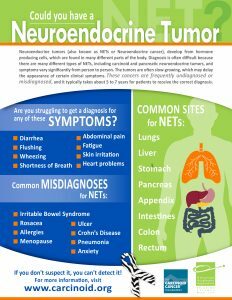 I have neuroendocrine cancer. This phrase is taught to medical students throughout their training. In medicine, the term “zebra” is used in reference to a rare disease or condition. Doctors are taught to assume that the simplest explanation is usually correct to avoid patients being misdiagnosed with rare illnesses. Doctors learn to expect common conditions. 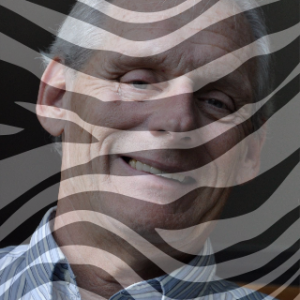 Unfortunately, many doctors forget that us zebras actually do exist. The average time to diagnosis for us is about six years! 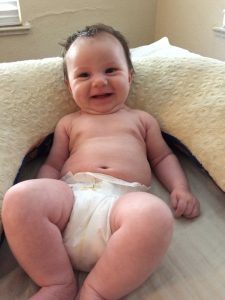 Keep reading, there are lovely baby pictures below! The Healing NET is featuring some of our stories here. I got selected to be one of them! 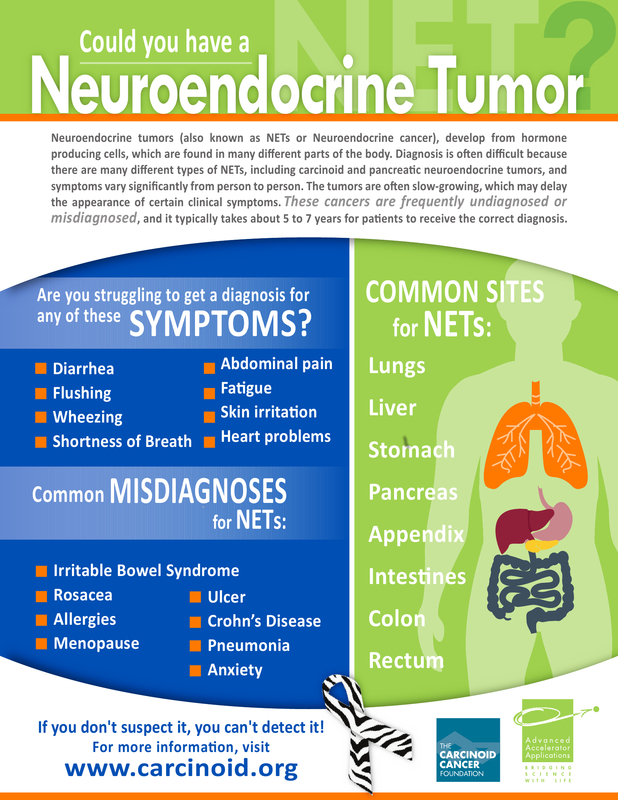 Possible symptoms and locations of Neuroendocrine Cancer. An easier to read version is here. My point is, obviously, be aware of Neuroendocrine Cancer also known as Carcinoid Cancer. Our lovely granddaughter at 11 weeks! 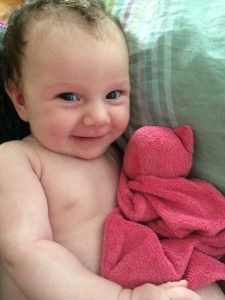 Who could resist our Margot?